Saikumar and Kalabhavan Shajohn have performed in the supporting roles. 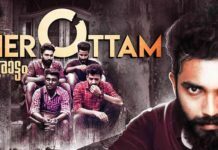 Screenplay and Music are done by Murali Gopy and Deepak Dev respectively. Below in this article, you will find details about Lucifer Full Movie Download and where to Watch Lucifer Online. Lucifer Malayalam movie of 2019 story talks about the death of Kerala CM P. K. Ramdas and how Stephen Nedumpally becomes a roadblock for ex-CM’s grandson. The entire movie of Lucifer is based on the sudden death of Kerama CM PK Ramdas. In France, the Interpol agency is struggling to crack a person’s identity. Later, as the story developed, the Interpol gets to know that the person behind this is “Khureshi Ab’ram”. On the other hand, in Kerala, the sudden death of the CM, PK Ramadas has created tension within the party. In fact, when PKR’s body is shown to the public we see Priya, his daughter along with her sister Janvi. Also, it becomes clear that Priya is married with 2 men, one who is busy doing campaigns a one who is in Mumbai. Bobby who is always in Mumbai is a popular Drug mafia plans to make Kerala as his next target. The 2nd part of the Lucifer 2019 movie introduces Stephen Nedumpally by Govardhan during live streaming that Stephen Nedumpally can be PKR’s successor. In fact, the real story of the movie starts when Bobby meets Stephen Nedumpally to approve him to sell drugs. After getting the refusal, Bobby who is enraged plans to deface Stephen Nedumpally in a news channel. In fact, everything turns upside down, when all the evidence gets against Bobby. Even after trying power and money to defeat Stephen Nedumpally, Bobby plans to alures Janvi with LSD which lead to overdose. When Bobby’s name comes into the picture he tries to use all his power to stop it. Whereas, Stephen Nedumpally who gets to know about all these, promises Priya to save Janvi. 7 Apr 2019, Lucifer total 10 Day Box Office collection has reached to 90 Cr, which is quite close to reaching the 100 Cr club. 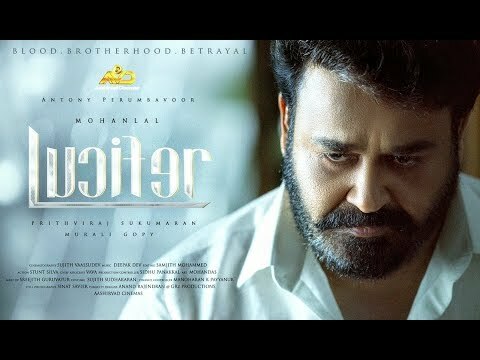 28th March 2019, Mohanlal Starer Malayalam Movie Lucifer is released for screening in theatres. 30 Aug 2018, Lucifer team has informed that the shooting is going well and Manju Warrier has joined the sets. 7 July 2018, Mohanlal-Prithviraj’s ‘Lucifer’ first poster was out and has created a buzz on the internet. 16 Jul 2018, Prithviraj in a press meeting confirmed that Indrajith will be part of Lucifer playing the villain in the movie. Lucifer Movie begins with the death of Chief Minister PK Ramdas (Sachin Khedekar), showing his political party’s dirty side and later they are looking for a successor. So, after the incident, Ramdas’ clever son-in-law Bobby comes with an offer to give funds. Bobby’s idea is to come in power and trade with Z category drugs into the country. Actor Prithviraj Sukumaran makes his debut as a director with Lucifer. Also, Mohanlal featuring in Lucifer has grabbed the Malayalam audience attention. 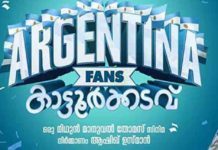 In fact, Tovino Thomas, Indrajith and Vivek Oberoi are playing pivotal roles. Mohanlal plays the role of an honest politician (Stephen Nedumpally) in this movie. And, Mohanlal is the center of attraction in this movie, whereas Vivek has played the villain’s character perfectly. But, Vivek’s role is quite similarities to his last Telugu movie Commando. Lucifer Malayalam movie will be available in TV channels and legal streaming websites within a few months of its release. Within a short span, it will be available on online streaming websites and soon after that will be seen on TV. Do you still want to watch Lucifer movie before TV or online streaming websites? We suggest you to visit your nearest theaters and get a good experience of the film. Do not try to download or watch movies from any illegal websites. Where To Watch Lucifer Full Movie Online? In the current era, you can find websites that are providing watching or downloading movies legally. In fact, you can check the below-mentioned website to watch and download Lucifer movie online. 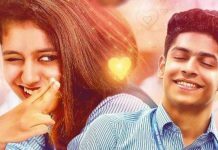 At present, Lucifer Malayalam movie is not available on any legal streaming websites. In fact, the below-mentioned websites will provide Lucifer movie after 3 to 4 months of the Lucifer Movie release. Also, we will update you as soon as Lucifer is available online. Goodwill Entertainments are the Producers of the Lucifer Movie. In fact, they have all the rights to Distribute Lucifer Movie. Goodwill Entertainments have not authorized any of the websites to provide the Lucifer Full Movie download. Indian copyright law states that downloading Lucifer movie from unofficial websites is illegal. Hence, do not download Lucifer and help anti-piracy. Thus by doing this, you can help thousands of families working in the Malayalam Film industry. Lucifer is one of the most awaited Malayalam movies of Mohanlal. Whereas, the story of this movie definitely fits perfect within the current trend of Election. Mohanlal's performance in this movie is at its par, whereas Vivek Oberoi has done great work as a villain. Overall, Lucifer full movie seems worth watching. Thanks for sharing your feeback Sunita. What do you think about Vivek’s performance in Lucifer? Lucifer Full Movie is really nice. Mohanlal acting was power packed action. The story was really awesome.. In one word. Lucifer movie is Awesome. Lucifer full movie was super.Totally politician drama.Mohanlal acting was good. Lucifer movie was good.Mohanlal and vivek acting was marvelous. Lucifier full movie was perfect and mohanlal acting was totally flawless as always. Lucifer is a perfect political drama. Mohanlal acting is superb. Nice movie mohanlal is always good in his acting. Lucifer a political drama movie just a fab story. 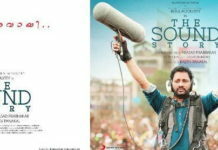 Superhit movie I love the way of directionof film and the appearance of Vivek Oberoi is awesome. The best thing is Mohanlal’s performance and in that the appearance of Bollywood star Vivek oberoi is the best part. Fantastic movie. Can anyone tell me How and from where I can download this full movie?